Finely balanced and contextually practical are the terms that best describe my first impressions of Google’s flagship Android. Nexus 6P preorders are about to ship, and I was fortunate to receive a review model but with short embargo lift: Delivered Oct. 16, 2015 before every blogger and reviewer on the planet blasted out simultaneous reviews and first-reactions on the 19th. I choose the latter, because a scant three days isn’t enough time to rightly evaluate the smartphone. Consider dimensions. Nexus 6 measures 159.3 x 83 x 10.1 mm and weighs 184 grams. The 6P is 159.3 by 77.8 by 7.3 mm and weighs 178 grams. The difference in width and depth supporting the 6-inch display make the Motorola much more cumbersome. The Huawei is flatter and thinner, although the screen real estate is less at 5.7 inches. I expected to be put off, because the bigger display is so useful, but better balance in the hand— 6P is more comfortable to hold and less lofty to maneuver—is a huge benefit. 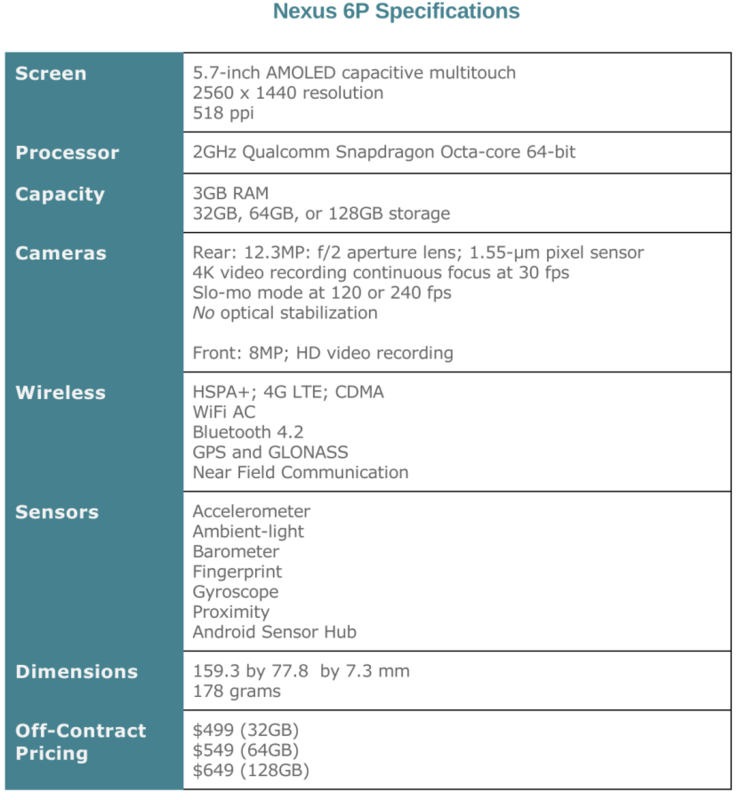 Nexus 6P is not a remarkable-looking phone. Its design is unassuming; understated. As such, I didn’t exactly coo taking it out of the box. But upon closer examination and handling, I quickly appreciated the smartphone’s charms. In many respects, again qualifying three-days impression, Nexus 6P is exceptional by being unexceptional. That’s physical balance. Another type is just as important, and that’s the balance of features against benefits. The two are often confused, when they are so clearly separate. My favorite metaphor: The holder that goes around a Starbucks coffee cup is a feature. Keeping your hand from burning is a benefit. While related, the two things are different. Not all features deliver benefits and some can take away from the user experience—like when, say, GPS and mapping app rapidly drain a smartphone’s battery. In good design, balance of benefits is even more everything. Setup. Google really disappointed me during the migration from Nexus 6. Setup prompted to use feature “Set up nearby device” to move my settings and stuff. Oh, yeah, baby! That’s a feature on 6P running Android 6 Marshmallow but not one I could find on the older phone, which runs Lollipop. Still, The Huawei device easily restored apps and settings from online backup. I would have liked text messages, too, but the process was still easy enough even though not as excitingly simple or as complete. If there is a flaw with the fingerprint sensor it is the great sensitivity. I carry phones in my right front pocket and tend to mindlessly caress them when walking, or standing for prolonged periods. The action could bring my finger in contact with the sensor and activate the phone. Imagine the embarrassment of accidentally ringing someone about whom you are griping with another person. I can envision such scenario occurring. Google or Huawei could confirm, but you’ve been warned. Life-changing is how I describe the fingerprint sensor. I am more likely to grab the smartphone because waking and using is so much easier. Benefits also need purpose, and Nexus Imprint is big with it. Controls. Like other Nexus devices, Huawei places power and volume controls in the upper right side of the phone when held in portrait orientation. Apple puts the volume buttons on the left, which I prefer. While I am right-handed, I hold a phone in the left, which frees my dominant hand to do other things. Held against my left ear, volume controls are inconveniently positioned. I would prefer to manipulate them with my thumb, as can be done with iPhone. My preference; you might feel differently. Since the movie “Steve Jobs” opens in theaters nationally this week, and Apple’s cofounder is such an iconic figure, I searched for his name; timely enough, right? The far left screenshot shows the info cards presented by Now on Tap. I clicked the Flixter icon, which opened the app, then long tapped again from within (middle). Tapping the info card for Jobs’ daughter brought me to the final screenshot you see. Now on Tap is another life-changer. In just three days, I frequently use the feature. Google search and informational services take on usefulness unlike any previous experience with them. The utility is fantastic, although limited. Too often, I am greeted with “Nothing on Tap”. Against the unassuming design, Nexus 6P is a canvas across which Google paints context. Voice assistance. Another control, but with no buttons: Improved voice response, which Google pioneered on Nexus One, released in January 2010. In another feature not exclusive to the 6P, Marshmallow extends voice response to apps supporting it. I said: “OK, Google, play the ‘Steve Jobs’ movie trailer”. The smartphone bellowed: “Here you go”, then YouTube launched and started streaming what I asked for. Apple is all wrong obsessing about touch—it’s an anachronism. Touchless interaction is the future of computing. Just think “Star Trek” the Original Series. 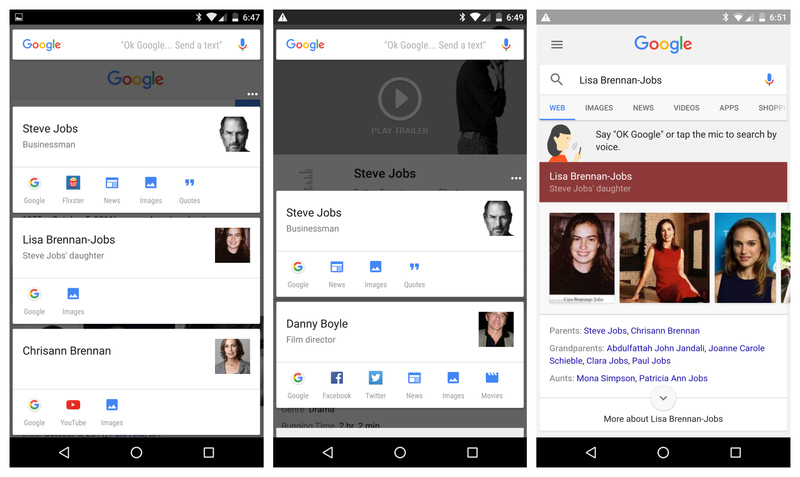 Google illuminates the more sensible user interface, even though it’s a work still in progress. Screen. Resolution is 2560 x 1440, same as Nexus 6, but 518 pixels per inch compared to 493. Text is crisp, which is as much about Google’s font selection. Visually strong elements look gorgeous. An ambient mode dimly lights the screen when you physically move the phone or there is a notification. Audio and video consumption. On October 17th, I conducted some quick video comparisons between the Nexus 6P and iPhone 6s Plus. My purpose was audio—to see how the front-facing speakers sound alongside the Apple device’s single grill. Separation and definition are superb and the overall clarity is pleasing. But the video differences captured more of my attention. The 6s Plus skin tones are more accurate but dull. I find the 6P video renders to be warmer and richer. Photo and video shooting. Many people will want to know about the cameras’ capabilities—front and back, which I at this early stage have given light testing. My initial impression: Most users will be satisfied. But the shooters need more thorough testing before (or if) receiving my seal of approval. The rear camera will capture 4K video at 30 frames per second. Slo-mode is available at 120 fps or 240 fps. 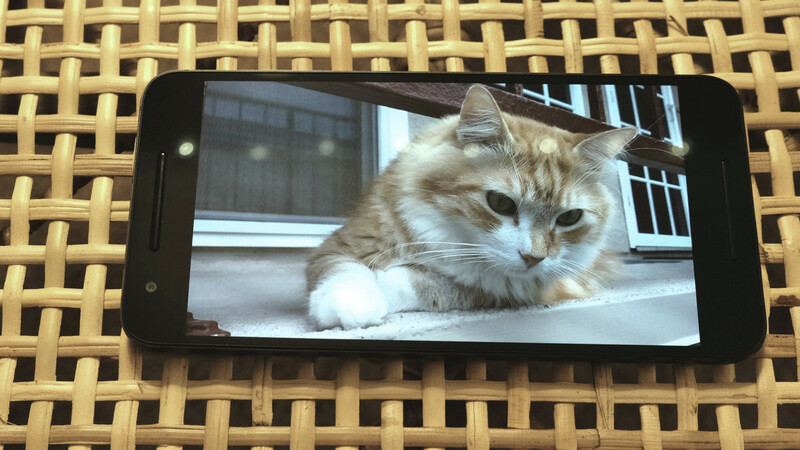 Circling back to balancing features—here, software, hardware, and services—is Google Photos. Functionality doesn’t much differ from Nexus 6 or other Androids. But new and upcoming features, like automatic photo and video sharing among invited groups, emphasize simplicity and hide complexity. Performance. The best two measures of a device’s balance of features are responsiveness and battery life. Starting with the former: Wow. 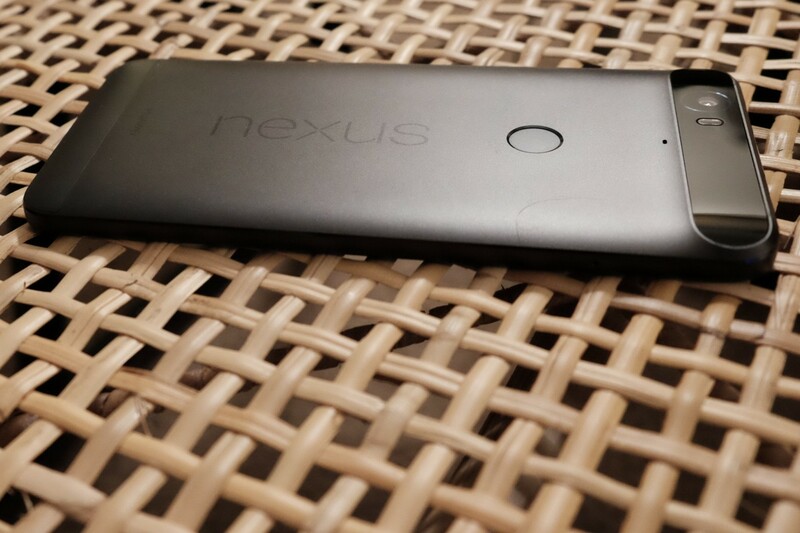 While Nexus 6 is by no means a slowpoke, its successor is a perky performer. “Blink and you will miss it” is the metaphor. Marshmallow is silky smooth running on the 6P. Battery. I can’t say much because there hasn’t been enough testing time. I received Nexus 6P around Noon on October 16th. Setup and sync consumed massively. I write this sentence at 8:45 a.m. PDT on October 19th, with one charge between and 14 percent remaining. Uh, that sure looks damn good to me. Battery capacity is 3,450 mAh, and Google claims topping off for 10 minutes extends life by 7 hours. Oh, Baby. Google. One more feature/benefit remains: Increased integration with search services and those related to it. You can see for yourself in Settings, where Marshmallow presents “Google” under “Personal”. You are given tremendous (presumed) control over privacy, security, and who gets to see what about you. For example, in a twist on Apple’s allowing ad blockers, Google gives you direct say-so. Under “Ads”, Marshmallow lets you “instruct ads not to use your advertising IB to build profiles to show you interest-based ads”. That’s a wrap. 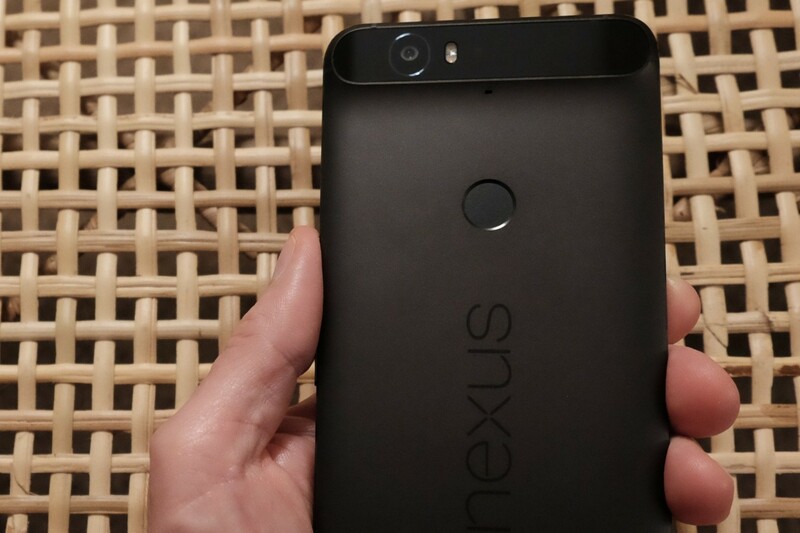 I generally like Nexus 6P, which is available in three colors: Aluminum (silver), graphite (black), and frost (white). This is going to be my full-time smartphone for the foreseeable future, which will enable a thorough, real world review later on.